Kent EB-5 LLC was formed on January 10, 2014 for the purpose of raising up to $50 million investment capital to a project permitted under the EB-5 Immigration Investor Program. The loan shall be advanced in five incremental tranches of $10 million each to XIN NY Holding, LLC (the Borrower). The borrower directly owns 421 Kent Development, LLC (the Project Owner) whose main purpose is to own and develop the real estate located at 421 Kent Avenue, Brooklyn, NY 11249. The development will consist of 201 residential condos, 15 townhouses, a community facility unit, 81 parking spaces and 201 storage spaces plus other amenities including swimming pool, sauna, fitness center and a children’s play area. The development will have a total finished area of approximately 492,000 square feet. The loan is secured by all shareholders’ pledge of equity and corporation guaranty. The demolition started in November 2013 and construction is expected to be completed in May 2016. Mr. John Liang—he is managing member of 421 Kent Development LLC in U.S. who oversees the project with support of an in-house team of experienced individuals. Mr. Liang has broad experience in real estate development in the U.S. public and private real estate companies. He earned his MBA from the Wharton School of the University of Pennsylvania and Bachelor’s Degree in Architecture from University of Arkansas. He is also a U.S. licensed architect, having spent 8 years of his early career designing and managing large-scale residential, office and hospitality projects. Mr. Ryan Black—He is a senior director of development of the company. He began his career with Kriti Management, the U.S. office of the Vardinoyannis family, one of Europe’s wealthiest families. As vice president of Kriti Management, he oversaw multiple real estate projects on the behalf of the family, completed due diligence needs for assets in the Americas, and sourced deals. Mr. Robert Gianatasio—He is a director of construction for the company. Mr. Gianatasio is a knowledgeable and hands-on construction executive with a comprehensive understanding of all phases of concstruction and is responsible for leading construction efforts in planning, building, and completion of all projects for the firm. The subject economic study report is prepared by an authorized economist, Dr. Michael Evans. The report applied RIMS Ⅱ model to evaluate job creation data. Dr. Evans anticipated the Oosten Condominium project will create 1,570 permanent jobs over course of the construction. The subject project seeks 100 EB-5 investors, which must meet 1,000 jobs requirement from USCIS. The Oosten Condominium project’s job creation is expected to fetch 57% more jobs than USCIS required. The developer will provide corporate guaranty over the EB-5 loan repayment and is confident that I-526 applications should be approved by USCIS. As designated regional center by USCIS, ARCFE provides foreign investors a reliable and safe immigration path and much secured real estate construction projects. The first Chinese real estate company listed in New York Stock Exchange. 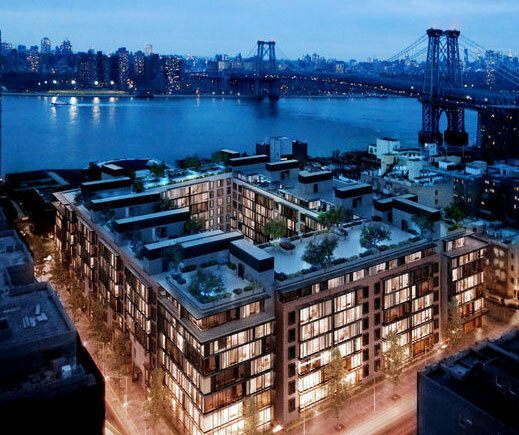 The developer has sufficient capitals on hand and the project can be completed with or without EB-5 loan. The top management team is consisted of senior investment executives from Wall Street, top EB-5 attorney, real estate consultant and commercial loan underwriter. The subject project seeks 100 EB-5 investors, which must meet 1,000 jobs requirement from USCIS. The Oosten Condominium project’s job creation is expected to fetch 57% more than the USCIS’s job requirement. 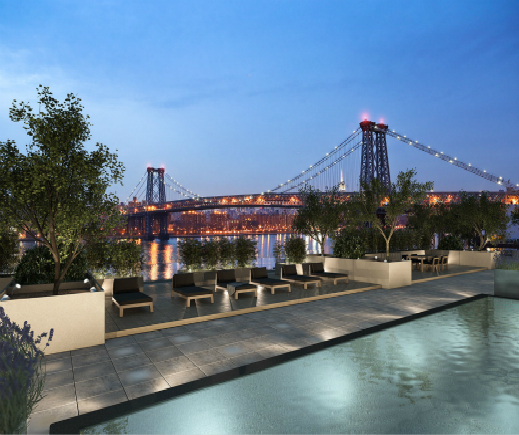 Net sales proceeds form the Oosten’s units shall be used to repay the construction loan first and then the EB-5 loan; The project’s generous profit margin will ensure a safe and timely return of the EB-5 investment. The estimated net sales proceeds from disposal of the project are projected to be about $400 million, after paying off the construction loan, there would be $240 million remaining net sales proceeds, which is more than sufficient to repay the EB-5 loan. 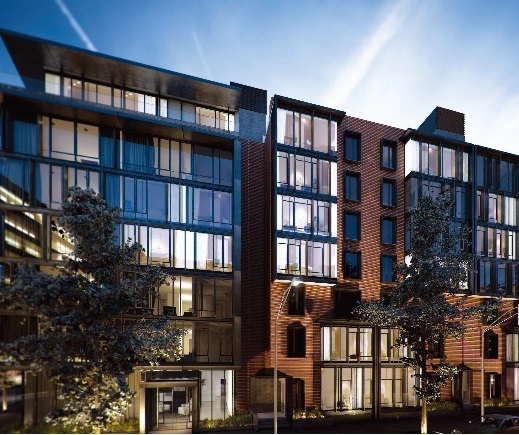 The developer will provide corporate guaranty over the EB-5 loan repayment and is confident that I-526 applications should be approved by USCIS. The developer will return investors all their EB-5 investment should the project be denied by USCIS.